Property owners and landlords may find they are responsible for crime scene cleanup as part of their duties. The need to clean the area may come as the result of a criminal activity, a fall, or an accident, yet the responsibility remains regardless of the cause. Workers and the public must be protected from blood-borne pathogens and bodily fluids that may contain these pathogens, yet many individuals don't know how to go about handling homicide cleanup, blood cleanup or bio-hazard remediation. For this reason, professionals may be needed for the cleanup. The area needs to be blocked off with placards or caution tape until the process is complete, and all workers must be equipped with protective gear. Sharp objects that came into contact with bodily fluids must be disposed of properly and all areas cleaned with an EPA registered disinfectant, soap and water or a household bleach solution. Food preparation items must be cleaned with the bleach solution or soap and water or disposed of in the event they cannot be cleaned. Clean rags and mops with soap, water, and the household bleach solution or dispose of them. Hands and any exposed portions of the skin need to be cleaned with soap and water once the cleanup process is finished and protective gear should be removed only after leaving the treated area. Decontaminate any items that will be used again in the future. Procedures for the disposal of waste materials vary by the individual responsible for the disposal. Homeowners must place sharp objects that are contaminated in a puncture-resistant container and label this container with the words "Home Sharps" in black permanent marker. The container may then be placed in the trash. Homeowners cannot dispose of loose sharp objects in trash containers or place them in recycling bins. Cleaning contractors and property owners follow slightly different procedures. They are required to take sharp objects contaminated with bodily fluids and place them in a sharps container before sealing this container with heavy-duty tape. The container may then be disposed of as ordinary trash unless one is a commercial property owner. Commercial property owners need to contact their waste removal service to determine how to properly dispose of and haul these items. Determine if insurance will cover a portion or all of the cost of cleaning the area. Many times a company will, yet one should read the policy carefully. In addition, the policyholder may be required to pay a deductible before the insurance policy pays their share. The option remains to hire a company for cleanup of a crime scene, and many choose to go this route to ensure the scene is cleaned properly and in a lawful way. Before hiring a company to handle this task, one needs to ensure the service providers are properly licensed for this type of work. 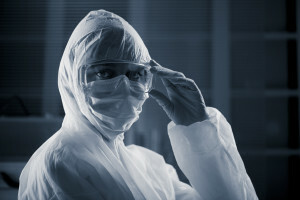 In addition, the property owner or landlord must ask if the company's employees have undergone blood-borne pathogen training and if they have an exposure control plan in place. Finally, the Guidelines for Trauma Scene Management need to be followed by any company one chooses to use. 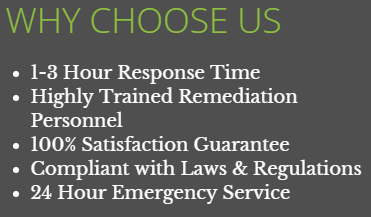 Brooks Remediation is a company many property owners and landlords turn to when they find they want a crime scene cleaned. 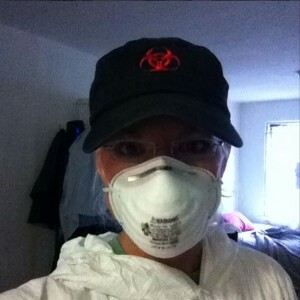 The company also handles suicide cleanup tasks along with infectious disease decontamination. Contact them today to discuss one's cleanup requirements and see how they can be of help in resolving a difficult situation.